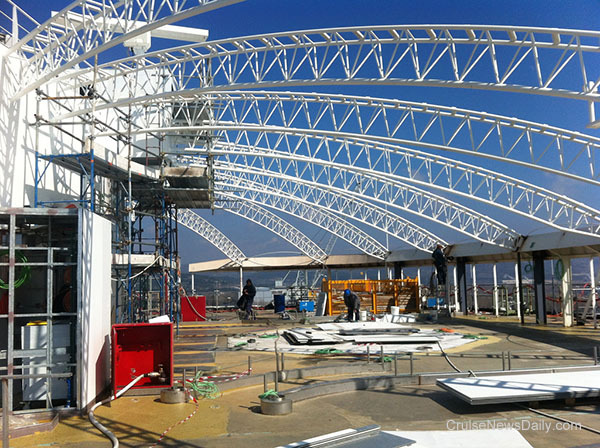 Royal Princess is still under construction at the Fincantieri shipyard in Monfalcone (Italy), but until now, when you were aboard, it just looked like a massive construction site. 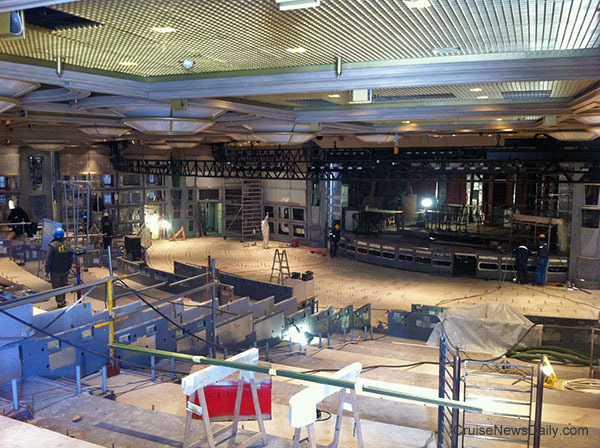 It was hard to recognize anything that really looked like anyplace you know on a cruise ship. This week, when these photos were taken (on Monday) it began to look like a Princess ship. In a few short weeks, this will be the outdoor lounge, the Sanctuary. 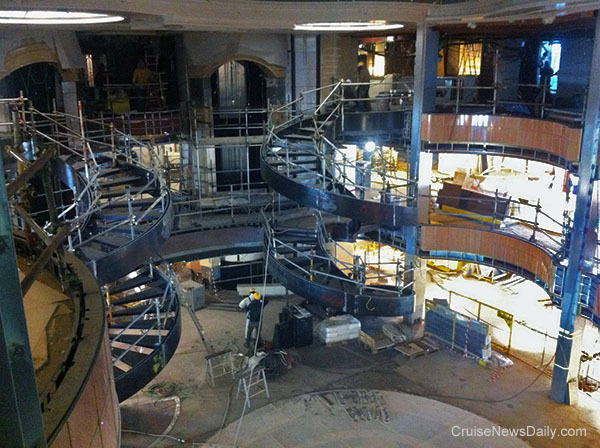 Royal Princess will have a larger Piazza in the atrium. The two spiral staircases will be the focal point. The Princess Theater just needs seats and it's almost ready to go. Copyright Cruise News Daily and Princess Cruises. May not be copied or reproduced in any form.